Cranky Beauty Pants has thoughts about painful brow threading. Do you? Good brows are important, as evidenced by the Head Beautygeek&apos;s tendency to Photoshop celebrity brows to make them better. Waxing was my preferred shaping option; a Chinese co-worker had told me about threading but said you have be raised with it or you can&apos;t take the pain. I let that put me off for years. One day, though, when I heard that a beauty bar I like offered threading services, I decided it couldn&apos;t be that bad. It felt like my brows were being removed with the wrong side of a rusty chipped razor. Gee, beauty hurts! The results, however: So. Precise. So I stayed with it, because what&apos;s a little pain for perfect brows? A more conveniently located place finally lured me -- and what a difference! A day spa that wasn&apos;t trying to kill me! Okay, threading still didn&apos;t feel like butterfly kisses, but the esthetician changed things by having me hold my skin taut with fingers above and below where she was working. That lessened the pain considerably, and yielded the same precise results. A location change meant finding a new esthetician again. And this one? Oh. My. God. Best. Threading. Ever. Like the one before her, this expert has me hold my fingers in the right places. But now it hurts even less. In fact, it doesn&apos;t really hurt at all. You know when you tweeze a hair in the direction it grows? It doesn&apos;t hurt but you feel it coming out? My new esthetician&apos;s work feels like that. Apparently she was raised with threading as the brow-shaping standard -- it&apos;s second nature to her. And I win because now I have precisely shaped brows that come with pretty much zero pain. The moral of the story: if getting your brows threaded makes you cranky, try other threaders until you meet the right one for your pain threshold. 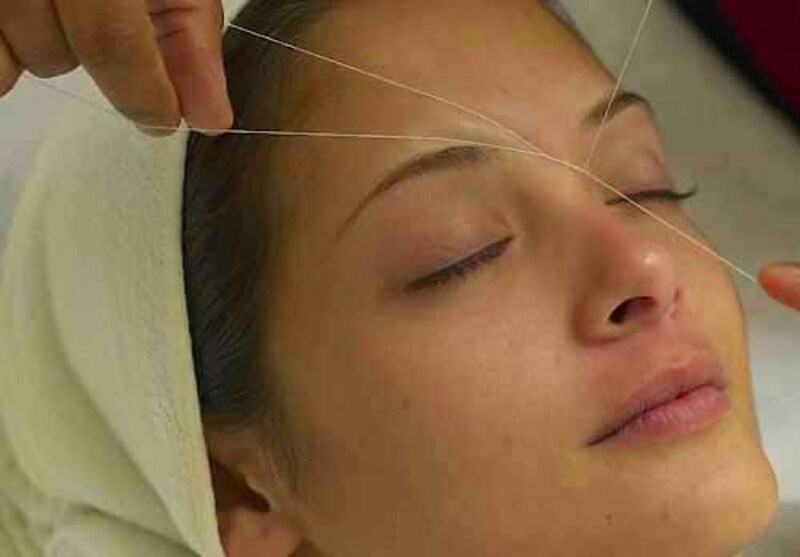 Pain-free threading exists; you just have to find it. And when you do, you won&apos;t be cranky any more. At least not about brow shaping. Do you have thoughts about threading pain?